FC Halifax have signed former Huddersfield and Scunthorpe midfielder Michael Collins on a deal until the end of the season. 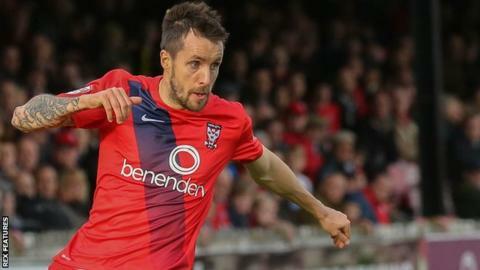 The 31-year-old has been without a club since leaving Leyton Orient at the end of last term. Collins has also had spells with AFC Wimbledon, Oxford, York and Indian side Bengaluru. He was named in the Shaymen's starting XI for their National League game at Aldershot on Saturday.